Innovative phygital business models, where bricks and mortar and digital seamlessly integrate, are popping up across the globe. But the best phygital experiences still remain aligned with old-school sales strategies: Customer attraction, retention, engagement, experiences, loyalty and the brand itself. The factors which keep shifting are shopping behaviour and new technology. The upshot is: to keep in the retail game, phygital is the way to go and it’s currently an adapt or die situation. “Due to the shift towards home delivery, traditional supermarkets will soon be in serious trouble.” Nils Van Dam, Duval Union Consulting. 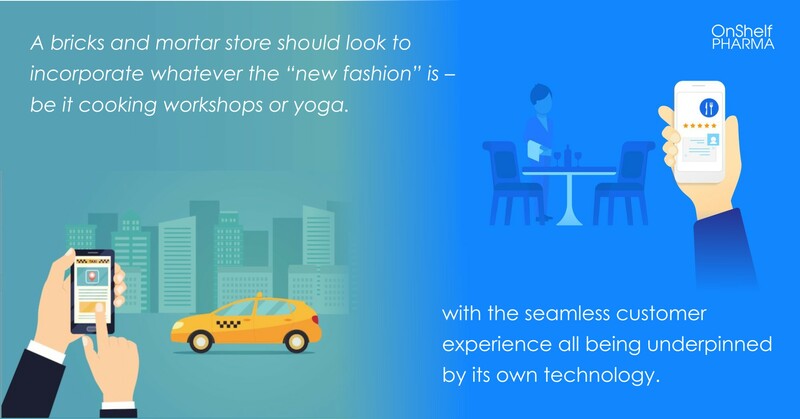 The concept of the role of a physical shop has changed. Whereas before a storefront used to be a part of the shopper psyche there are now young customers who have no knowledge of physical stores dominating the landscape. Nils Van Dam of Duval Union Consulting estimates that between 30 to 40 % of supermarkets will shut their doors within the next decade. 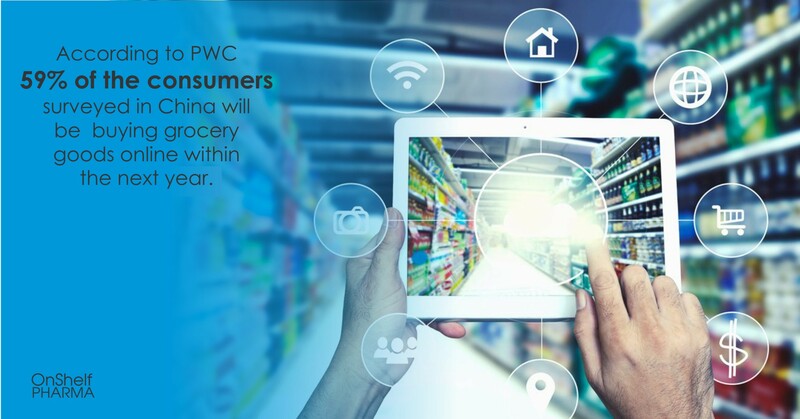 In line with this thinking according to PWC 59% of the consumers surveyed in China will be buying grocery goods online within the next year. Never seen or experienced before phygital stores are being built, the biggest ones being Amazon and Alibaba. These mega-online players are laying new foundations with brick-and-mortar shops – Wholefoods and Hema respectively. The rule of thumb seems to be – whatever bases you’re not covering – cover. Another thing to note about disruption, however, is that agility and adoption is different in terms of what product you sell. For the online retailer thinking of transitioning to phygital, the importance lies in what you sell. 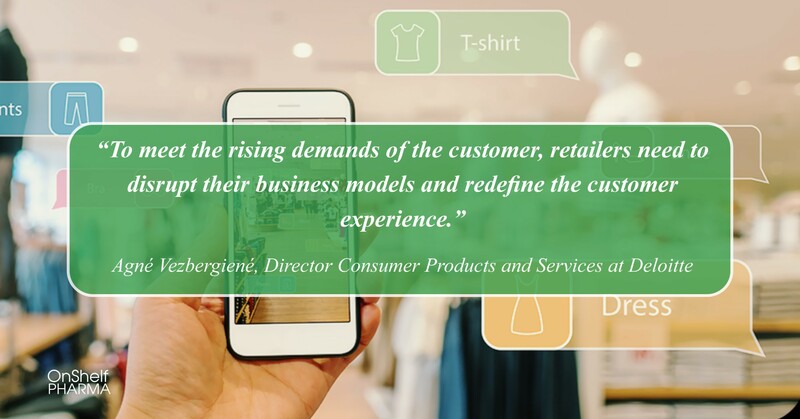 According to PWC, in a category such as fashion, 43% of consumers already consider themselves to be omnichannel shoppers, buying both offline and online. In the same survey, for consumer electronics, 21% of shoppers even indicated to be purchasing strictly online. 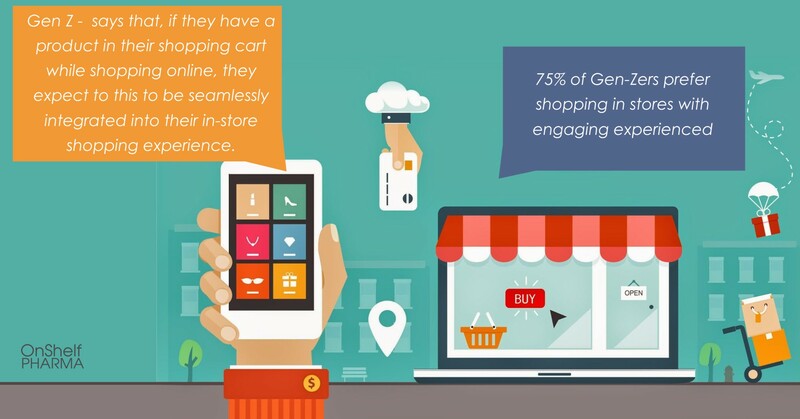 Another interesting fact about Gen Z is that if they have a product in their shopping cart while shopping online, they expect to this to be seamlessly integrated into their in-store shopping experience. 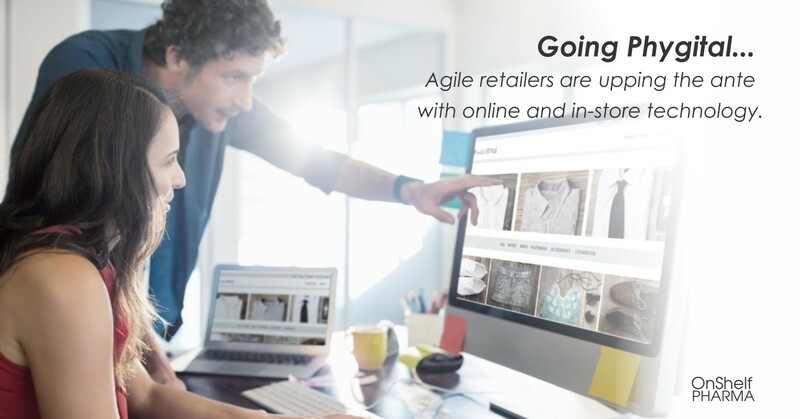 Agile retailers are upping the ante with online and in-store technology. 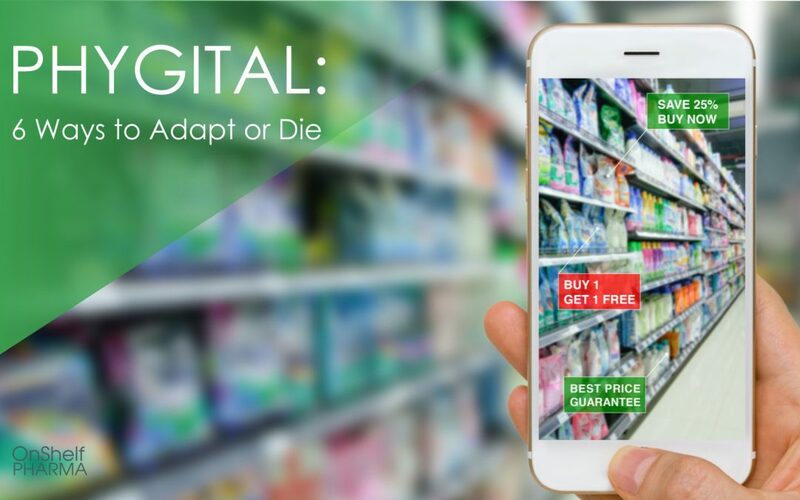 The more common in-store phygital tech includes self-scanning, digital signage tablets and smart tags. Other innovations being tested are things like AR-powered virtual demos, smart mirror beacons, personal in store digital avatars, face-detection software that can guess a shoppers’ gender and age, as well as interactive fitting rooms with a touch screen kiosk. A bricks and mortar store should look to incorporate whatever the “new fashion” is – be it cooking workshops or yoga. For example, Green Swan the owners of Intertoys, plans to rent out toys for children’s parties. Alibaba has opened the doors of its latest phygital venture: The FlyZoo Hotel in Hangzhou, with the seamless customer experience all being underpinned by its own technology. And for the ultimate in-store trend, see the 185 year old “most beautiful department store” in Zürich – Jelmoli. This old-school bricks and mortar retailer has ten large and small restaurants where they can grill your steak for 90 seconds at 800 degrees or you can visit the Cheese Humidor cellar where there are 250 cheeses to choose from. Keeping it real and human with bricks and mortar is particularly relevant to South Africa. 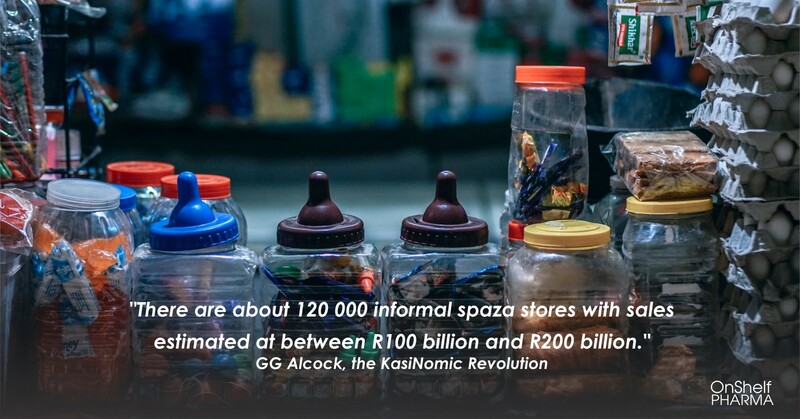 We’re a fascinating demographic of shoppers who, on the one hand, consider a trip to the mall a memorable family experience and on the other, many of us shop “off the radar”, buying from spaza shops in townships and rural areas and belonging to Stokvels. In both instances the human connection is vital to the shopping experience. Malls may need to up their game on the experiential level and spaza shops should be taken more seriously by mainstream retailers.